Whether you already have a line rental provider or you need a new line installed, Fleur Telecom can offer you a dependable home phone service with a choice of competitive call packages to match. Line rental is just £15.50 per month, however, should you choose to pay for 12 months’ line rental upfront, you will receive a 10% discount. Make the most out of the way you use your landline with our Calling Circle function. Included with all home phone services, Calling Circle allows you to discount the calls made to 16 of your favourite contacts. And by highlighting your primary number you will receive a further 10% discount on calls made to that number. Please see below for guidelines on the numbers that can be added to Calling Circle and the associated discounts. 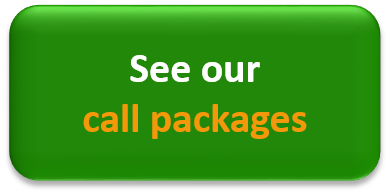 As well as a selection of varied call packages, you can tailor your landline by choosing to add Fleur Call Features to your package. Need a line installed? We can provide a line in your property for £55.00*, just complete our enquiry form. *Please note that line installation costs are subject to survey. The total cost of an installation will take into consideration any additional work that may be required on site. Charges are determined by BT Openreach and we will be passed on as per their charging policy. To view our line rental and call pricing information, please click here.